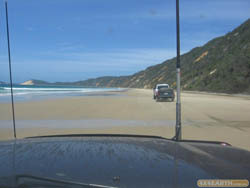 This is a fairly easy track off of the beach through to Rainbow Beach. Nice genlte slopes some rocks, nothing to serious. OK for first timers, just be sure to take it easy.